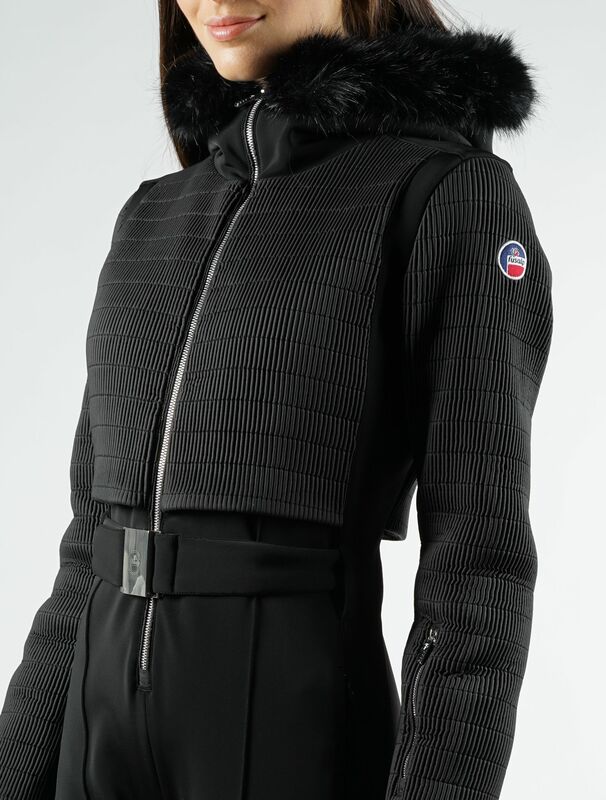 The INGRID stretch ski suit is made of stretchable and water repellent Swiss softshell Schoeller © fabric.The openings with bellows at the bottom of the leg allow to close the pants on the ski boot. The model is wearing size 36 and measures 178cm. This comfortable and dull muff provides airtightness and snow proof to your arms. "SCHOELLER® is dedicated to active, outdoor, fashionable and work-related fabrics, that environmentally friendly. At the cutting edge of technology, Schoeller offers a range of laminated fabrics, in 2 and 3 layers using high tenacity and high quality yarns, FUSALP has always used Schoeller fabrics in its collections for its fuseau line. More recently, SCHOELLER® offers merino wool materials. The membrane material is breathable, anti-moisture, anti-stain, anti-UV, water repellent, windproof and waterproof. 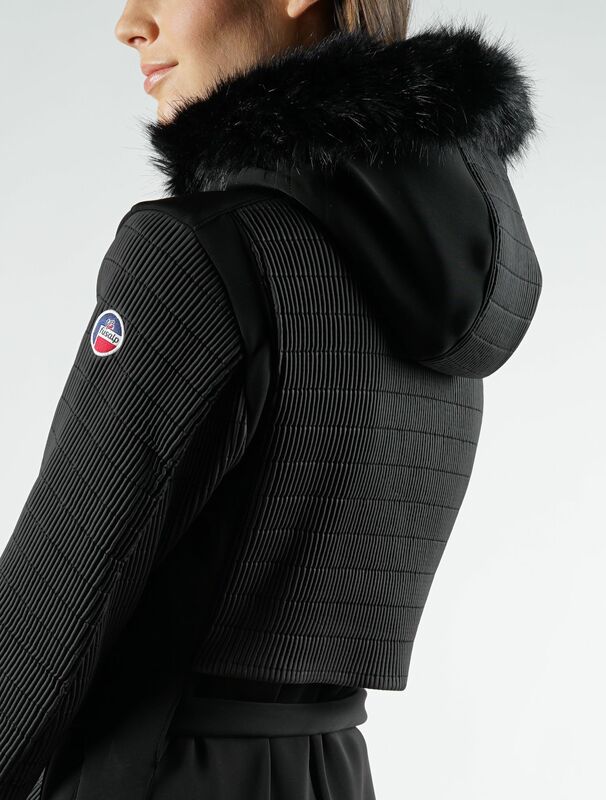 Well-suited for robust functional ski jackets and urban style. Italian pattern for a perfect fitting. This technical and waterproof gaiter (PU coating) will prevent snow and air from getting into the bottom of the pants so that you can remain comfortably warm and dry.